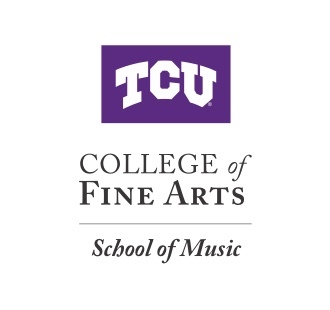 Our goal in the TCU College of Fine Arts is to prepare our students for success whether they choose to use their vocal talents on stage, in the classroom or elsewhere in life. The School of Music offers the Artist Diploma program for exceptional vocalists who seek a conservatory approach rather than the traditional course of study leading to an academic degree with a performance major. It’s available to both pre-baccalaureate and post-baccalaureate students. All incoming students (freshmen, transfer students and graduates) must audition for assignment to a studio. Studio placement auditions are held Sunday, prior to the start of the semester. For detailed information, contact Professor J. David Brock, chair of the voice division (j.brock@tcu.edu). Each student should prepare one piece of classical repertoire sung from memory. An accompanist will be provided. Please email d.alenius@tcu.edu for an audition slot. Auditions will be performed Sunday prior to the start of the fall semester in the Choir Room – Walsh 203. Music minors and electives who have not taken studio voice previously at TCU must audition for acceptance in the voice area and for studio assignment. Studio space is limited. Those taking voice as an elective should be aware that acceptance is competitive and should prepare their auditions accordingly. You’ll gain practical experience while attending the TCU School of Music, including myriad on-campus choral, jazz and operatic ensembles, as well as chances to delve into the rich musical culture of the Dallas-Fort Worth area. Fort Worth is a rich environment for young singers. In addition to performing on campus, many students sing in local churches and with professional organizations such as the Fort Worth Opera and Dallas Opera. The John Large Vocal Arts Laboratory at TCU enhances studio instruction with scientific tools, fostering the art of singing and understanding of the physiological and acoustical processes involved. By using specialized equipment and software, students learn the acoustic parameters of pitch control, fundamental frequency and harmonic partials that pertain to vocal timbre, vowels and linguistic accuracy. TCU joins select colleges and universities, including the Oberlin Conservatory, Westminster Choir College, Belmont University, UT Austin and Vanderbilt Voice Center in incorporating this technology into the development of vocal artists. Our graduates have gone on to enjoy positions that include operatic groups from the Los Angeles and Wolf Trap opera companies in the U.S. as well as Deutsche Oper Berlin in Germany and the Grand Théâtre de Genève in Switzerland. Through the power of the human voice, they have helped bridge cultures and gained a broader perspective on the world around them. Other recent graduates have chosen to continue their academic studies and have been accepted into prestigious graduate programs such as those at Boston Conservatory of Music, New England Conservatory of Music, Eastman School of Music, University of Cincinnati College-Conservatory of Music, University of Southern California, Cleveland Institute, Manhattan School of Music and the Mozarteum in Salzburg, Austria.